1. Before the Colored Packing Tape is put into storage, be sure to check whether the outer packaging of the tape carton is damaged. If it is damaged, you must unpack the box to check whether the tape inside the box is damaged and handle it separately. If there is no damage, you can enter the warehouse. 2. Put the BOPP Self Adhesive Printed Tapes into the warehouse to avoid exposure to the sun and rain; avoid contact with acid and alkaline solvents, keep the room clean and dry, and the tape should not be in contact with the ground and the wall. The reason is that the ground gas or the wall will be wet, which will affect the tape. Usability. The indoor temperature is kept at room temperature and cannot exceed 35 degrees. 3. The tape should be placed in rolls, not folded, and placed according to the arrow on the outer box to avoid uneven force on the tape inside the box. 4. Do not put tapes of different varieties and different specifications. 5. The card baffle that holds the tape must be clean and inspect for damage to the tape to avoid wear on the tape. 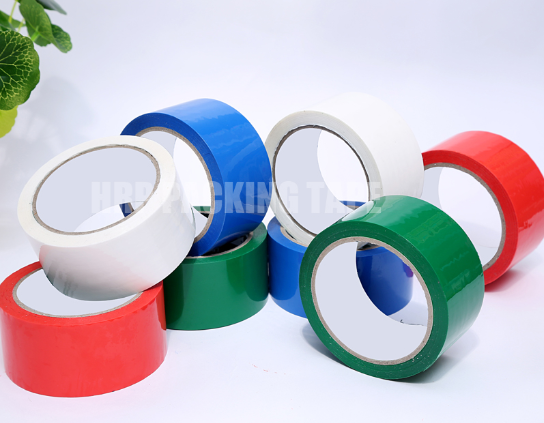 Previous: How To Prevent BOPP Adhesive Tape Jumbo Roll Breakage?